Josie's Juice: Malcolm Young: Early Onset Dementia death at age 64. 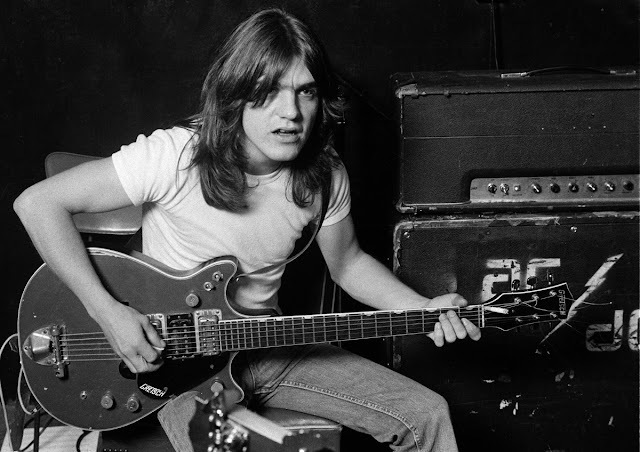 Malcolm Young: Early Onset Dementia death at age 64. The death of Malcolm Young is deeply upsetting for myriad reasons. The most obvious is that the world has lost a musical genius. He was the founder of global behemoth of a band AC/ DC, and was the rhythm guitarist who invented the riffs that will forever go down in history. His age - only 64 - is another reason he really is gone too soon. The man was still young. This illness claimed his life. His age at diagnosis was in his early 60s. Dementia is the term used to describe the symptoms of a large group of illnesses which cause a progressive decline in a person’s mental functioning. It is a broad term which describes symptoms such as loss of memory, intellect, rationality, social skills and normal emotional reactions. The term younger onset dementia is used to describe any form of dementia diagnosed in people under the age of 65. The latest figures show that younger onset dementia affects approximately 25,938 Australians with dementia having been diagnosed in people in their 50’s, 40’s and even as early as their 30’s. Due to dementia in younger people being less common than dementia occurring after the age of 65 it can be difficult to diagnose. A natural born musician who conjured many of the signature riffs which made AC/DC a global rock force had fought for several years. His brother and bandmate Angus paid tribute to the special bond they shared on the musical stage since their debut in 1973. Due to his early onset dementia, he had to relearn his legendary riffs during AC/DCs 'Black Ice' tour. Malcolm's last performance was in 2010 in Spain. Young was a renowned perfectionist and uncompromising strategist, who took the hard decisions needed to propel AC/DC from the unforgiving Australia pub circuit to international success. Just as he stood anchored rock solid on the stage, so he was the boss off it, in the studio and their business affairs, infamous for abruptly firing managers, producers or musicians when they didn’t measure up to his exacting standards. Young and his family immigrated from Glasgow to Australia as 10 pound Poms in 1963, landing at the Villawood Migrant Hostel in Sydney’s western suburbs.